The call came from an eager young man starting a new church in Florida. He already had 50 people meeting in homes in Bible studies. They had secured a leased space to launch the church in just a few months. But they were having trouble coming to a consensus on the name of the church. What could I tell him about church names? Were there pitfalls or opportunities where they needed greater awareness for their church’s name? 1. Newer churches are consistently using descriptors in their names other than denominational affiliation. Some are focusing on their location. Others are at least implying a distinctive doctrinal leaning. And still others are using more trendy and less common terms. 2. Denominational names, though, are still dominant among church names. Though the information is four years old, OpenBible.info did a fascinating study of church names. Some of their conclusions are still valid today. Denominational names still dominate, and “Baptist” is the major denominational name. 3. The most common church name is “First Baptist.” Over 5,000 churches have this name. Of course, this name by itself does not specify which Baptist denomination, and there are many different denominations that have Baptist in their own name. 4. Many words are becoming common in newer church names. Some of those words are Christ, Community, Fellowship, Assembly, Center, Chapel, Life, Faith, Bible, Grace, and New. 5. Outsiders are often confused about church names. Several years ago, I did an informal survey of the preferred denomination among unchurched persons. The second most frequent response was the “Community” denomination. Of course, that denomination does not exist, but it is in a lot of church names. 6. The Internet has led to shorter church names. 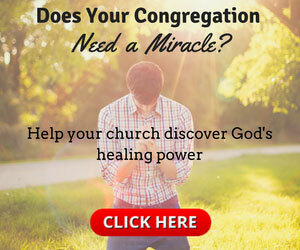 Churches are choosing names that don’t become a long URL. 7. Church names may be important, but they are not the most important factor in people choosing a church home. Relationships, personal invitations, good preaching and friendly people, among other reasons, still trump the church name as the reason someone chooses a particular church. One of the more challenging features of a church name takes place when the church is named for a location but that location no longer exists. Or perhaps the church moved from that location. So if Hickory Avenue Community Church is no longer located on Hickory Avenue, guests may be confused by the name related to the location. Still, many churches tenaciously hold on to such names, even if it engenders confusion. I also see a number of churches take a name after a church split. For example, a group of people split from the Harmony Church after an ugly church fight and took on the new name of Greater Harmony Church. I would love to hear your thoughts on church names. I also hope some of you can share some interesting and, perhaps, humorous church names of which you are aware. Thom S. Rainer is the president and CEO of LifeWay Christian Resources. Previously, he served the Southern Baptist Theological Seminary for 12 years, where he was a founding dean of the Billy Graham School of Missions and Evangelism.